Roasted pralines, warm butter, and dry grass. Butter toffee and espresso with oak and raisin. Warm and very smooth with a whiff of cherry pipe smoke. 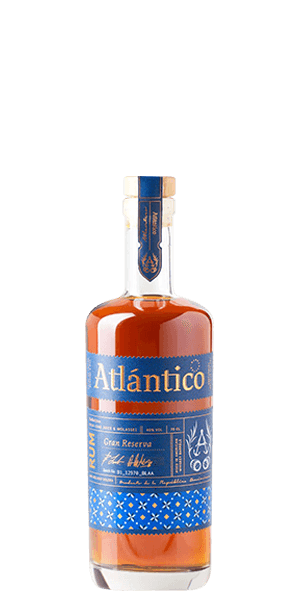 Atlantico Gran Reserva Private Cask Rum is adored for its butter, cherry, smoky and pralines flavor notes. This Rum is carefully distilled at Atlantico Rums distillery, Dominican Republic. Based on 12 votes, the average rating for Atlantico Gran Reserva Private Cask Rum is 8.2/10. — A very very pleasant rum . For the price it's exceptional . A very very pleasant rum . For the price it's exceptional .